What makes it special to Richard Radke is that anyone can win it. And he is certainly right there. Most recently we saw it with the defending champion Charl Schwartzel in 2011. Eight players had a share of the lead in the final round, but Charl was able to outlast them. 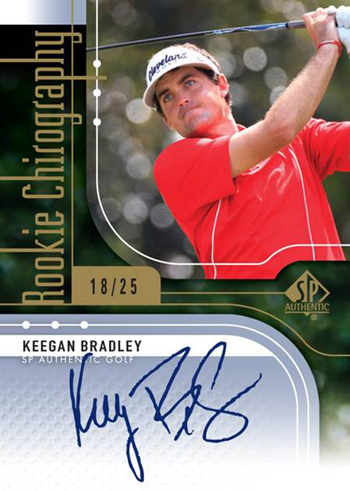 Charl will actually be featured in Upper Deck’s new 2012 SP Authentic Golf set where collectors can grab his first-ever rookie autograph cards. Younger players like Charl Schwartzel and Keegan Bradley make an event like The Masters exciting because you never know who is going to win! James Arthur and Nathan Hully told us they love the green jackets. Now that really is an award unlike any other. The tradition of awarding the green jacket actually began in 1949, but its use actually dates back to 1937. That year members of the Augusta National Golf Club wore green jackets during the tournament so fans with questions could easily recognize who they should ask. Éloi Bérubé told us that the most special part is the 12th hole at Augusta. It is the shortest hole on the course, but likely the most memorable and potentially the most difficult. Water, bunkers and a thin green all come into play and when putting players may certainly feel as though they are on an island with no gallery in attendance. 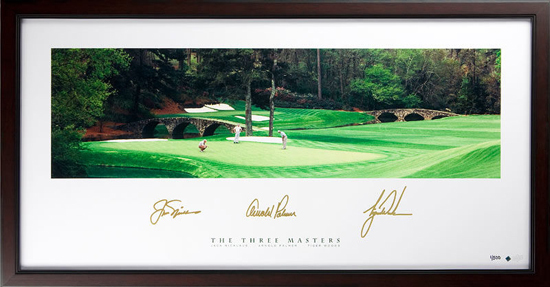 Upper Deck Authenticated actually produced a beautiful piece commemorating a portion of “Amen Corner.” It shows“The Three Masters;” Tiger Woods, Jack Nicklaus and Arnold Palmer on the 11th green with the 12th hole appearing in the background. In golf, there is nothing quite like "Amen Corner." And for William Davis, he believes it is Tiger Woods’ dominance that makes the event special. No doubt about it, Tiger has been very successful at Augusta through the years. He has won the green jacket four times and was favored to win this event now that he seems to be back to his winning ways. As the exclusive provider of Tiger Woods signed trading cards and memorabilia, Upper Deck couldn’t be happier about that and we hope he has a successful outing this weekend. Both golf fans and collectors couldn't be happier about the fact that Tiger is back! To make the weekend more exciting, Upper Deck has a special promotion to share with our fans. As Tiger goes through the Masters weekend, you can score some great discounts on his signed memorabilia, but you’ll have to act quickly. 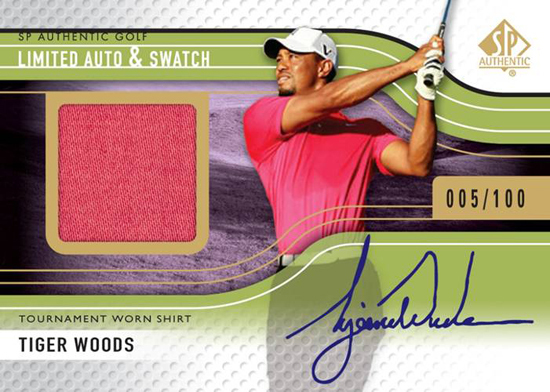 After his final score posts each day, subtract that number from 100 and you can receive that discount on any of the Tiger Woods memorabilia available at the Upper Deck Online Store for the next 24 hours. 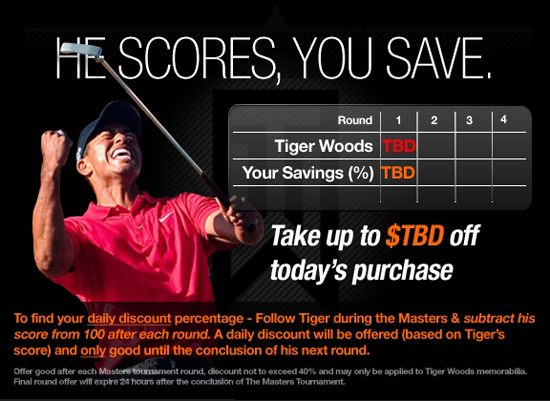 So if Tiger shoots a 62 today, you can get 38% off his memorabilia for 24 hours after his final score posts. When he scores, you save! The Hockey Hall-of-Fame and Upper Deck Collaborate for a Makeover that can only be called a Great One!